METAL GEAR Orchestral Concert Series Coming to Japan, U.S. and Europe! The official METAL GEAR orchestral concert series will premiere outside of Japan in 2018, starting in Los Angeles (Oct. 10) before moving to New York (Oct. 13) and Paris (Oct. 28). 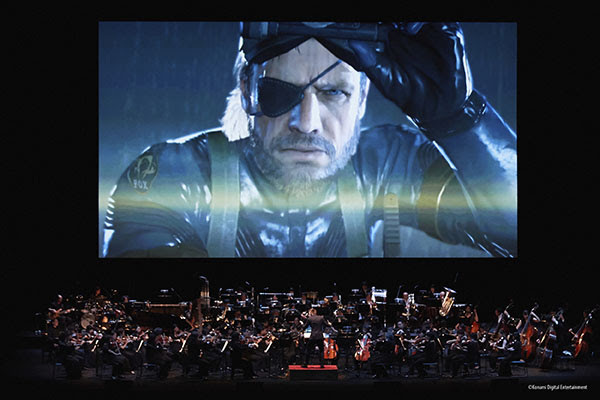 The concert will feature more than 70 musicians on stage, including METAL GEAR singer Donna Burke, HD footage from the game will be projected on a giant screen in perfect sync with the music. Reviving the most memorable moments of the game, the concert will feature the best music from the METAL GEAR Solid games, with background music (BGM) like the “Main Theme,” “Encounter,” “Father and Son,” not to forget memorable songs such as “The Best is Yet to Come,” “Snake Eater,” and “Heavens Divide,” which will be sung live by Donna Burke. Beloved by millions of fans, the video game series has sold more than 50 million units worldwide over the 30 years since its release. A particular breakout success since the “Metal Gear Solid” instalment that was released on PlayStation in 1998, the series’ popularity continued to soar up to the release of the fifth main episode “Metal Gear Solid V: The Phantom Pain” on PlayStation IV in 2015, the top-selling METAL GEAR game of all time. Setting the standard for action-adventure stealth video games, it mainly revolves around the now-legendary character of Solid Snake and his nemesis Big Boss, who are both working to infiltrate and take down an evil organization that poses a threat to the world. Known for its extreme attention to detail and complex and elaborate plotlines, and the entire series is considered both a defining point and a milestone in video-game history. See the official METAL GEAR concert premiere in the USA and Europe for the first time ever! Tickets will be available for pre-sale from March 17, 2018 (starting from noon local time of each city). Starting April 4, 2018, the remaining tickets will be available on www.ticketfly.com for Los Angeles and New York and on www.fnacspectacles.com for Paris.